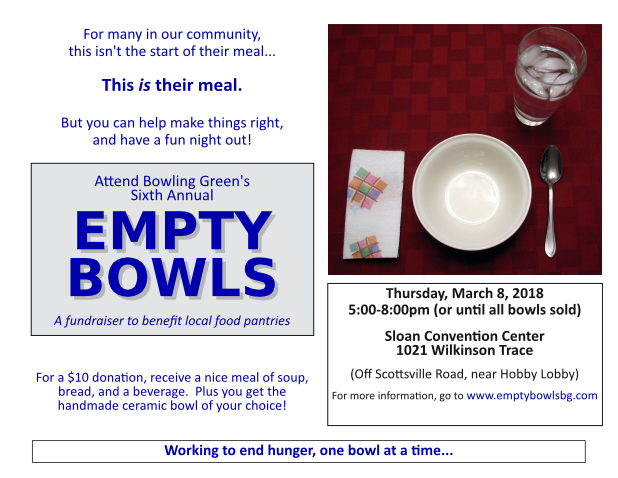 Flyers for the Big night! 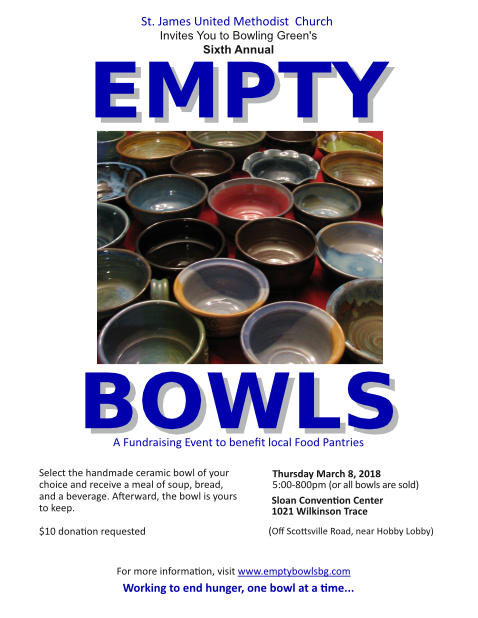 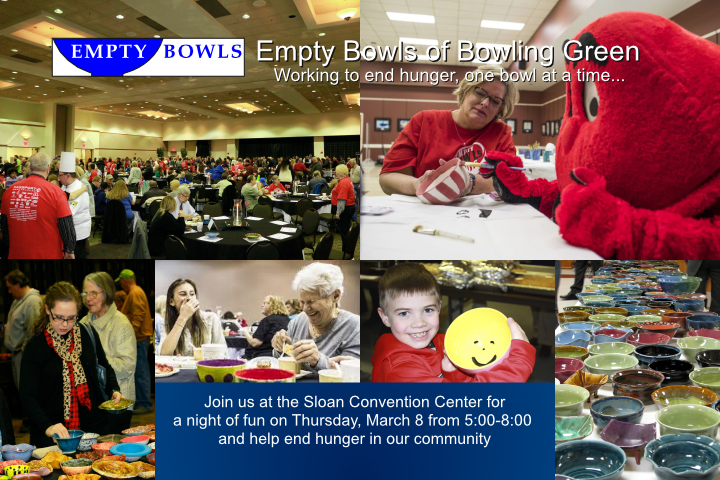 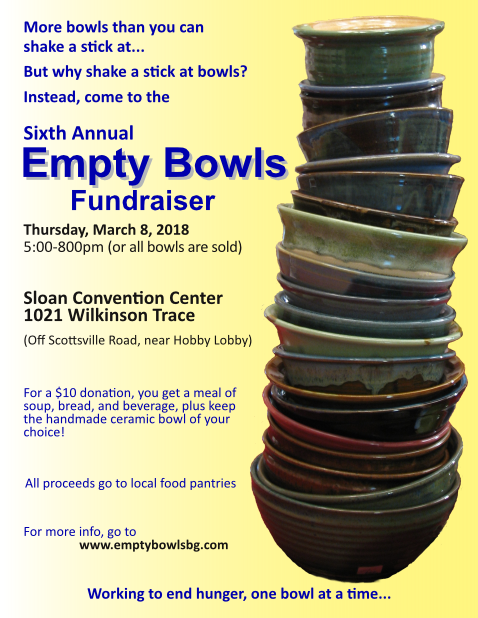 You can help us spread the word about Empty Bowls by printing a placing flyers for the event around town (your school, your office, the breakroom, etc.) 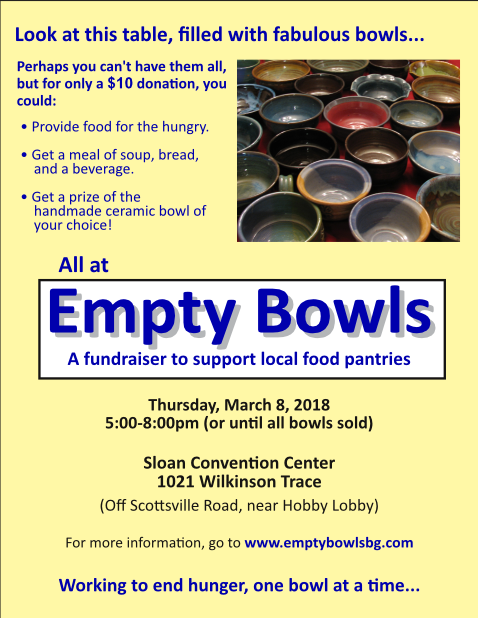 Click on an image below to download or print that flyer, and make a difference in the lives of our friends and neighbors here in Warren County.